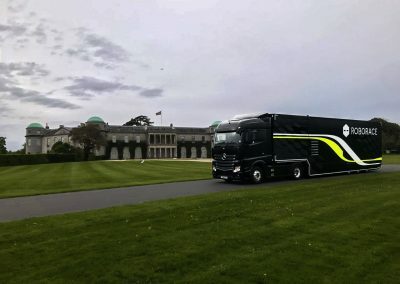 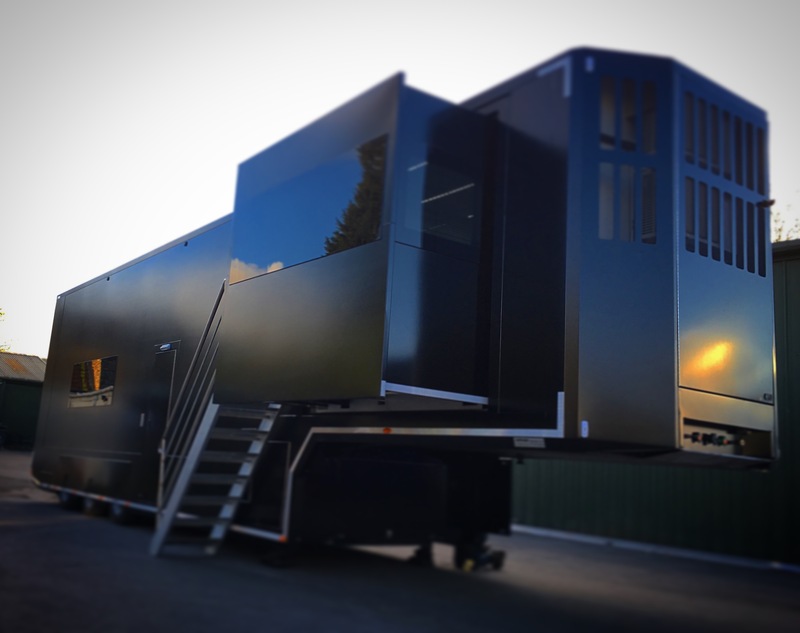 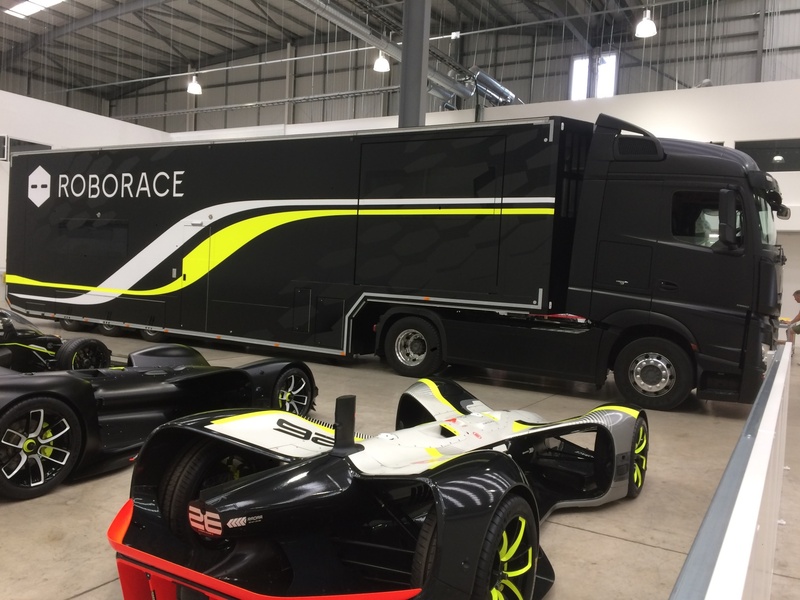 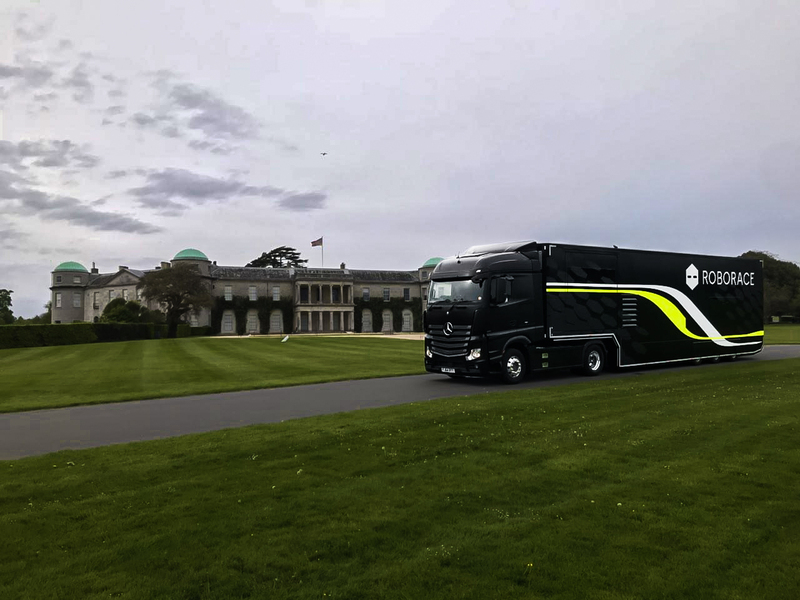 A multipurpose race transporter that will carry four of most sized sports or formula cars. 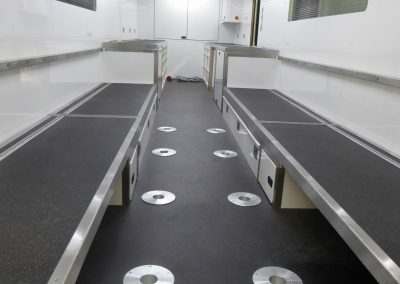 The primary layout is to accommodate two cars on each deck during transport along with wheel trollies and lista storage below. 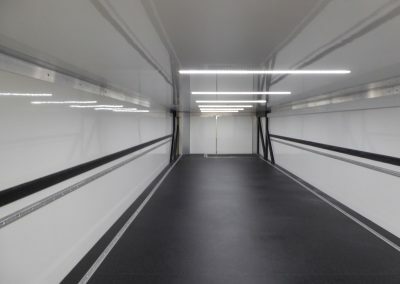 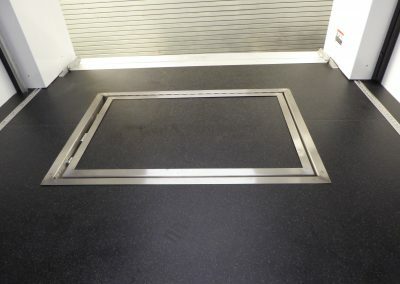 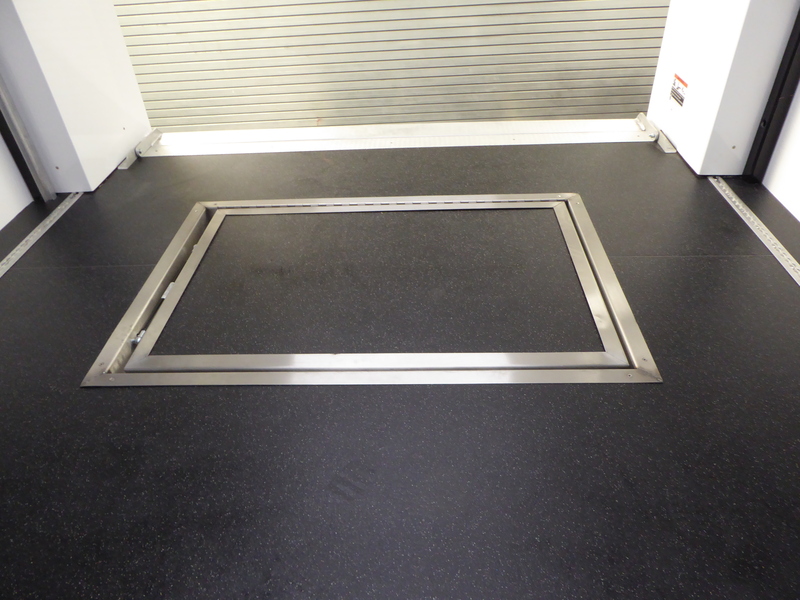 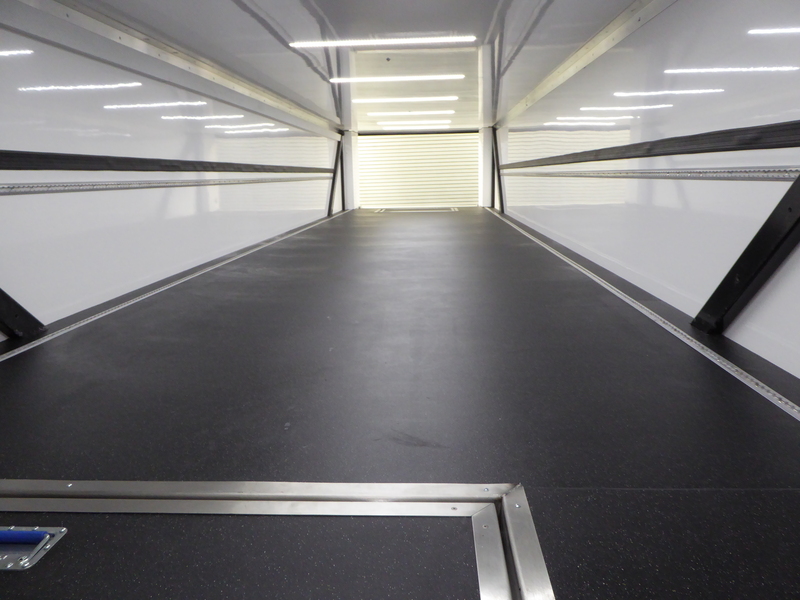 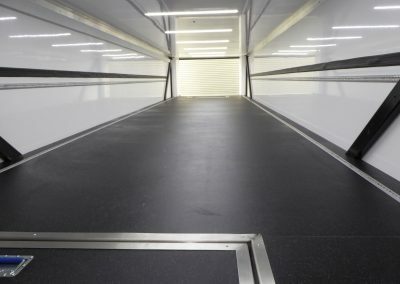 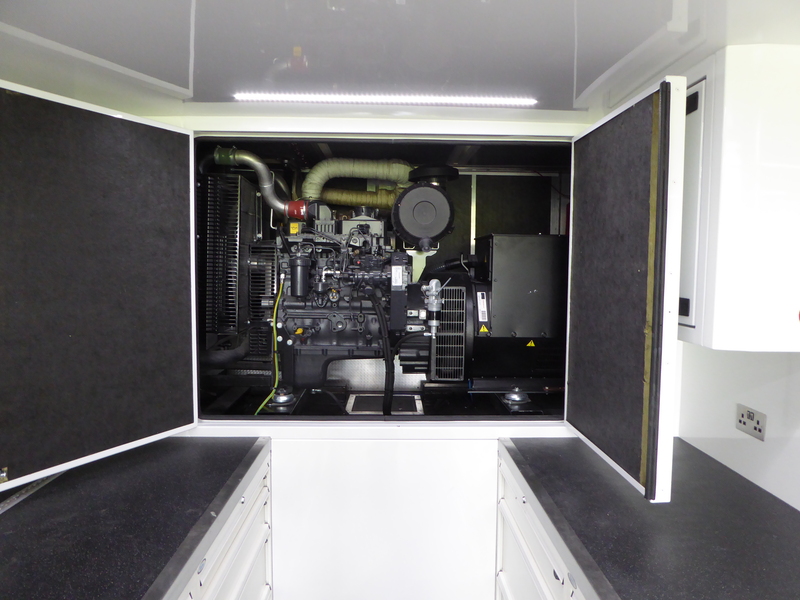 Internally the front of the unit is fitted with two slide out pods to maximise floor space. 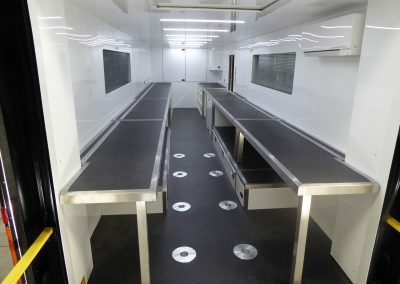 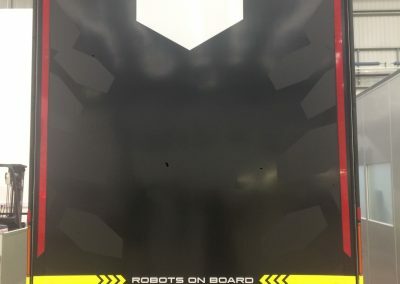 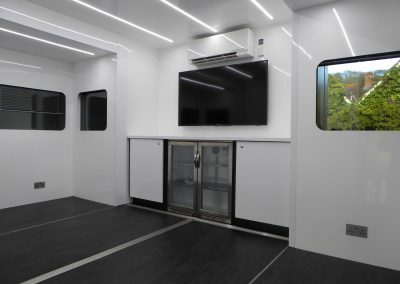 The front section consists of seating for five engineers at a desk on one side and comfortable seating for management on the opposite side, the seating will also convert to a bed. 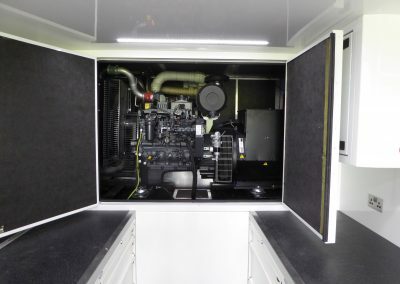 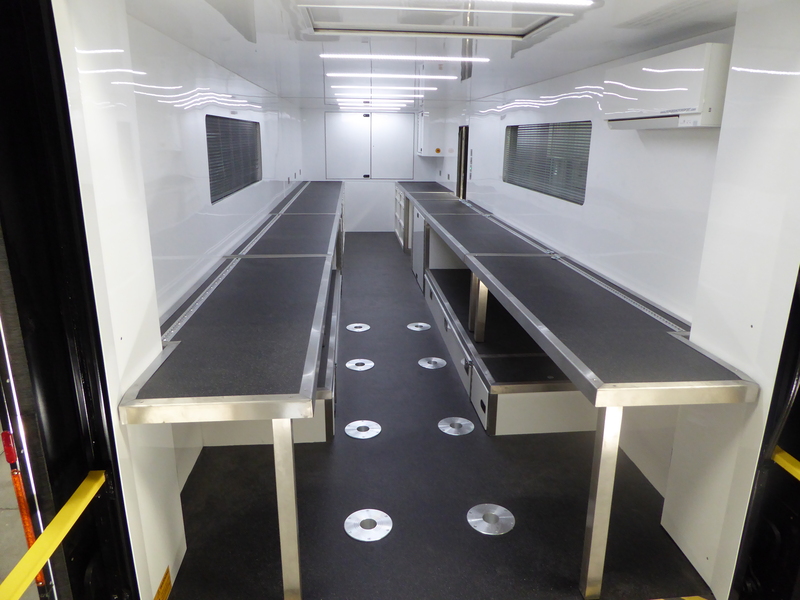 The lower deck consists of a 8.8 meter long workshop area fitted draw cabinets below the bench’s in the front section. 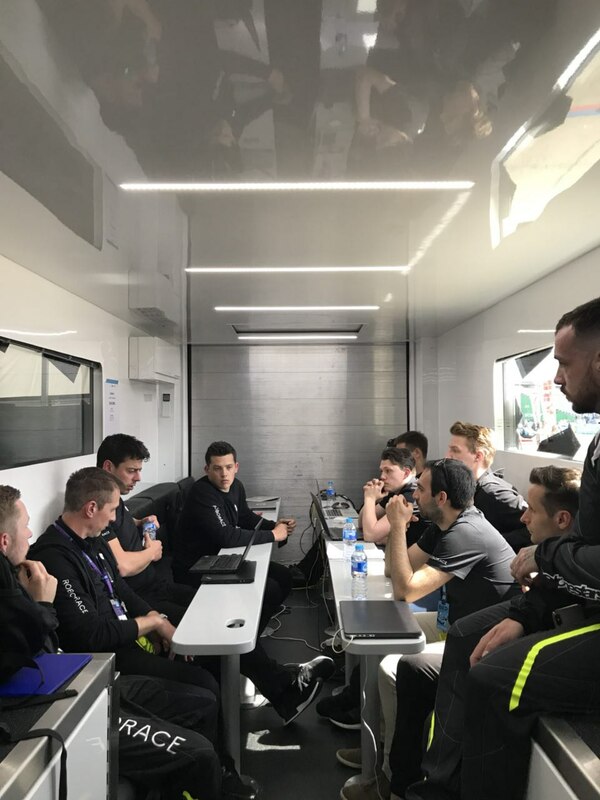 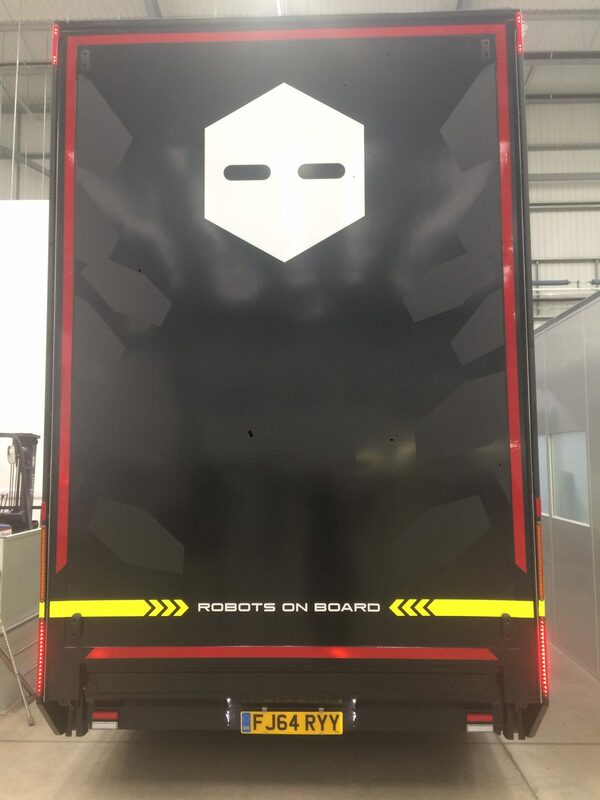 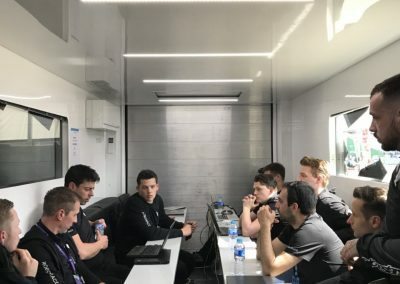 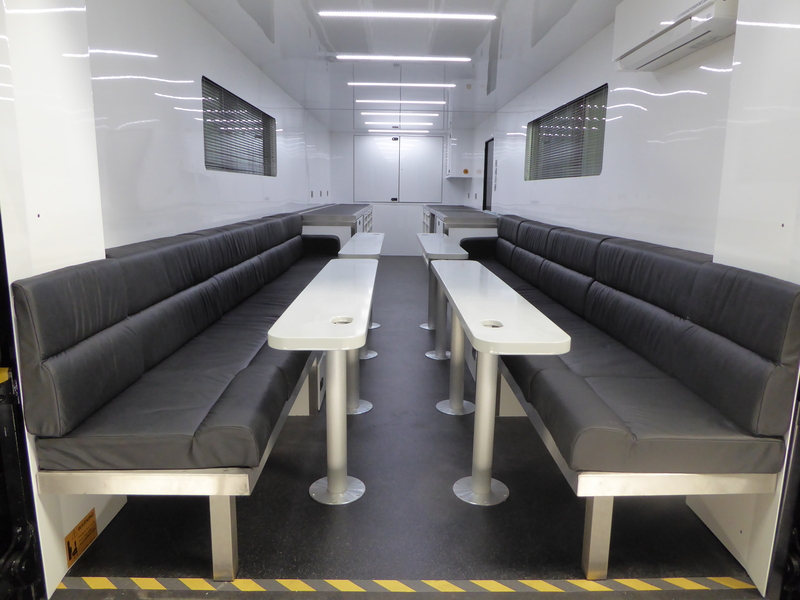 The rear section converts to an engineer’s/drivers area at the circuit if required to sit upto 12 people at 4 removable desks. The top deck has the capacity to carry two LMP cars as required. 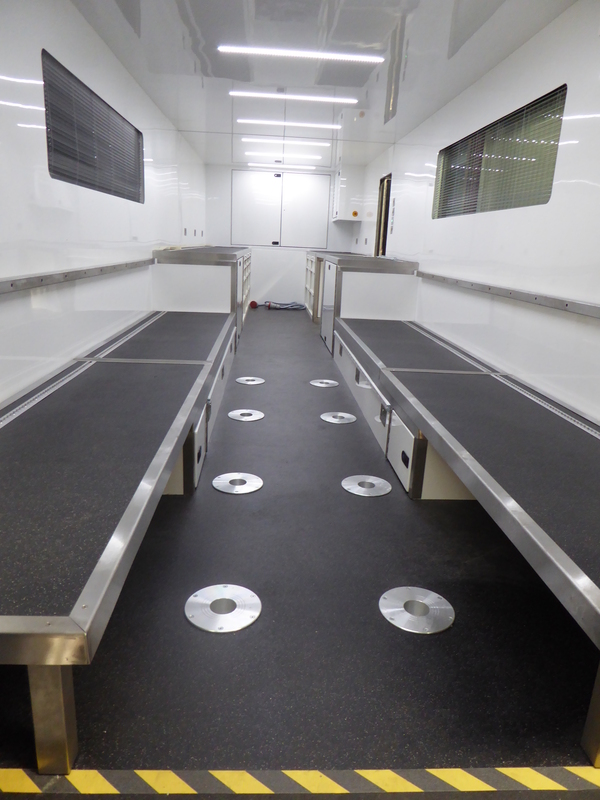 Note: If duplicating we can adjust deck heights to suit. 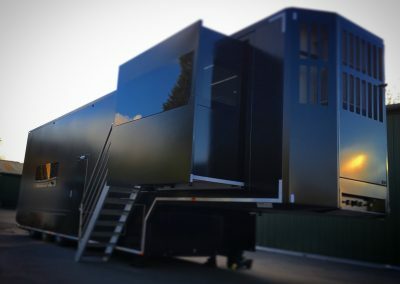 Twin slide out pods to maximise room at the circuit. 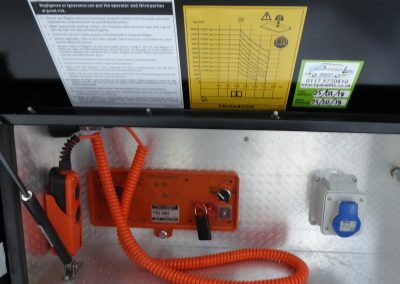 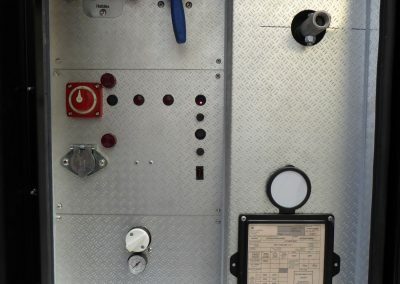 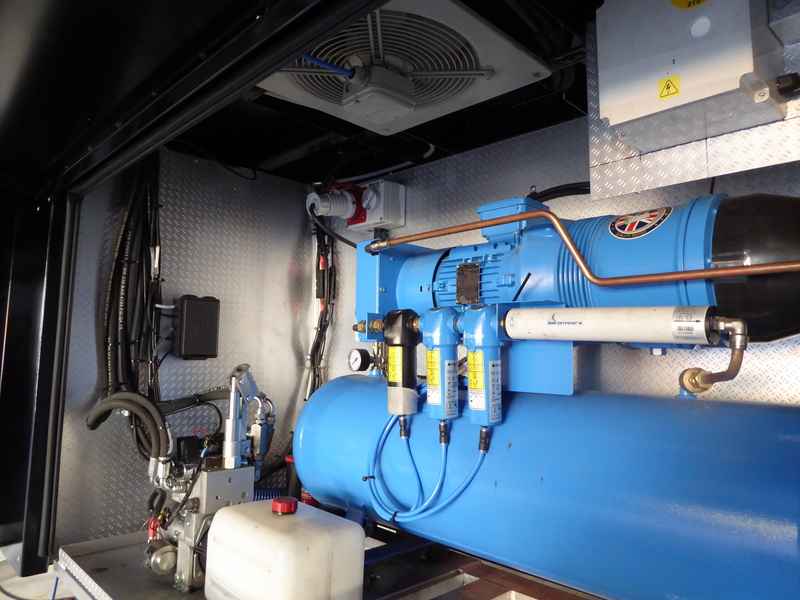 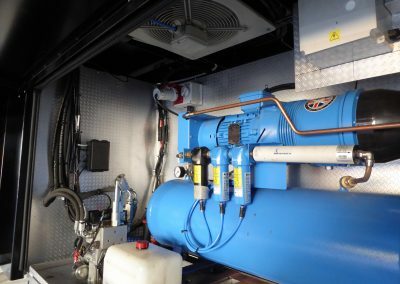 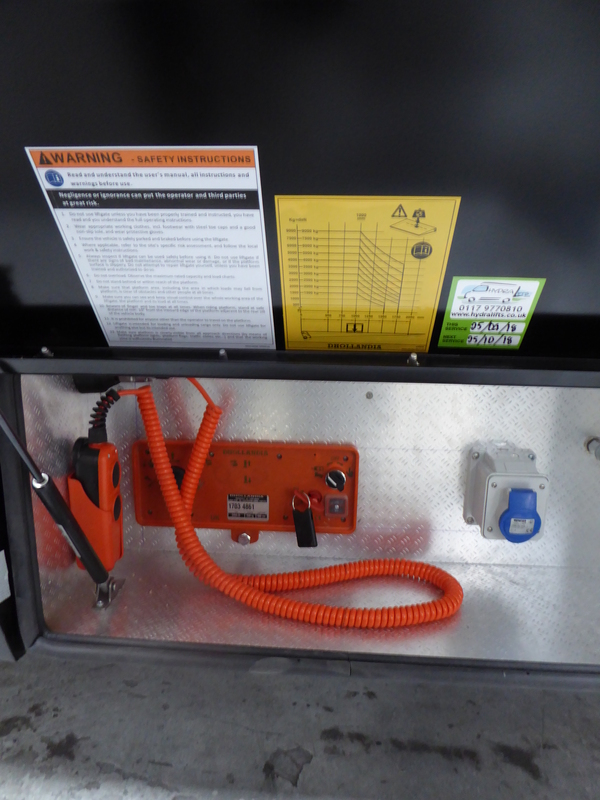 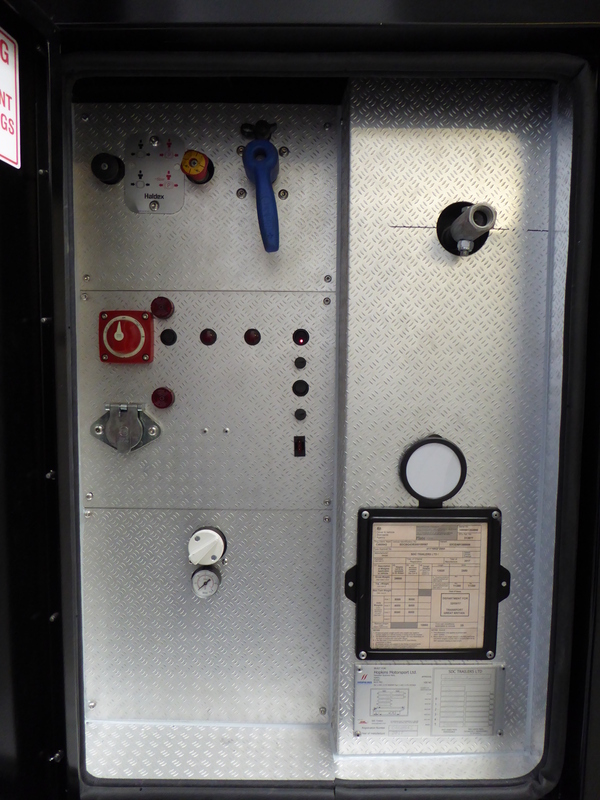 Rear Access to the generator and also the top deck to make the securing of cars easier. 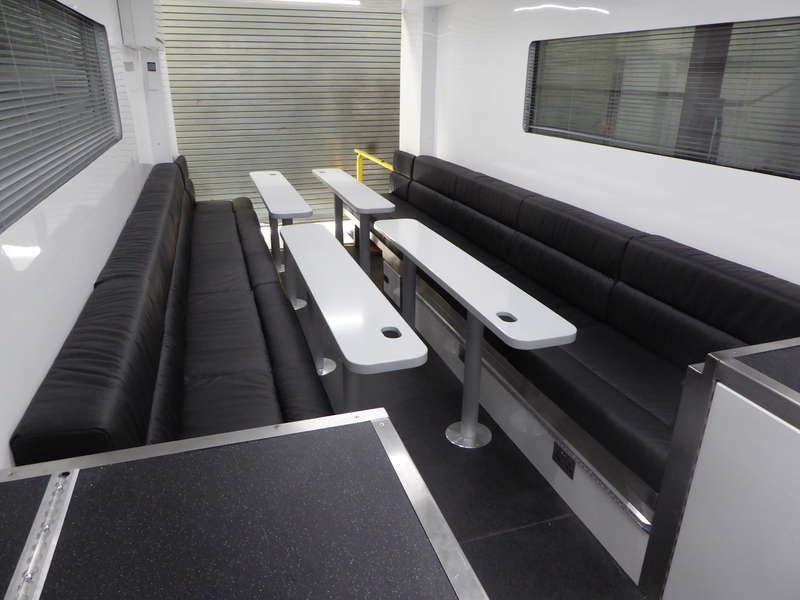 Seating & tables: finished as required. 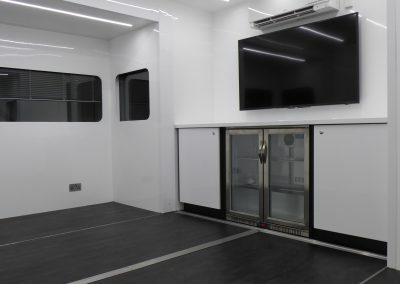 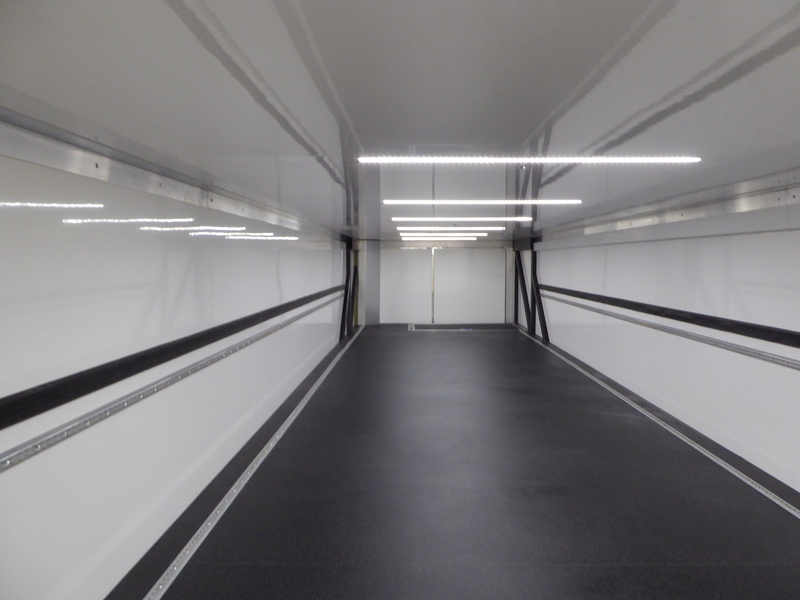 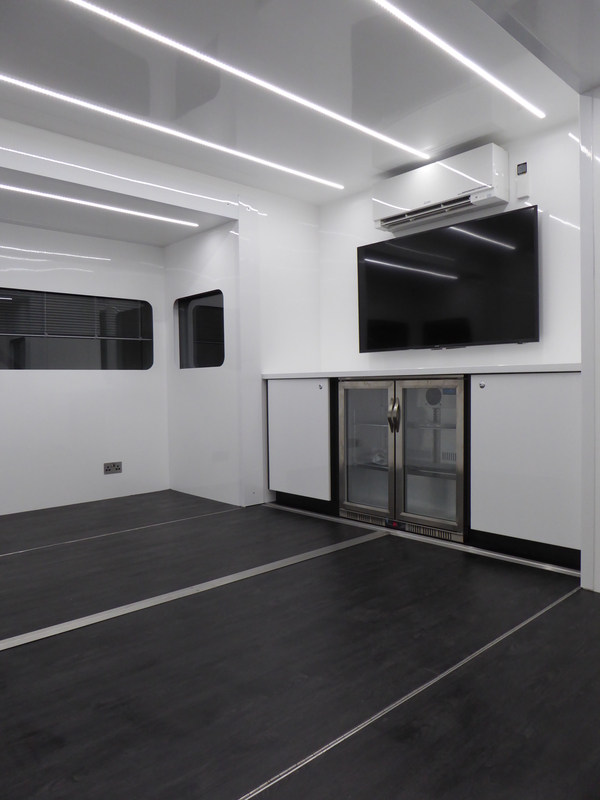 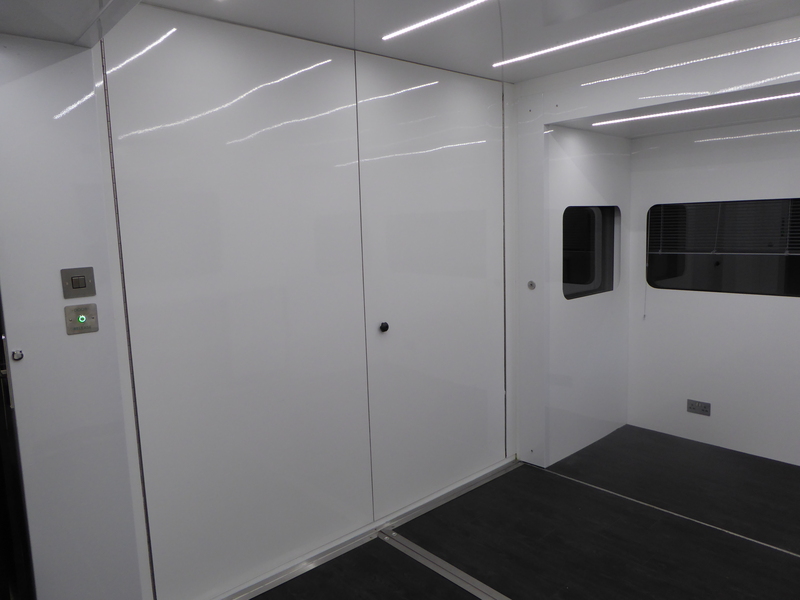 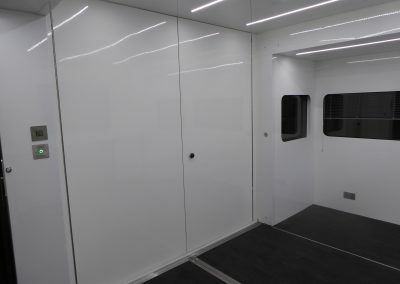 The rear 5mtrs of the lower deck converts an a drivers and or Engineers room at the circuit.